Tue., 2 Jul. - Wed., 3 Jul. Fri., 5 Jul. - Sun., 7 Jul. 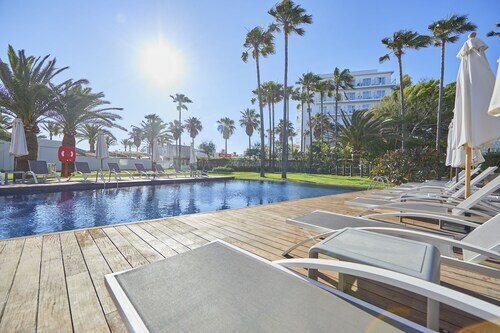 Situated near the airport, this eco-friendly hotel is 0.4 mi (0.7 km) from La Porciuncula Church and within 3 mi (5 km) of El Arenal Beach and Palma Aquarium. Port of El Arenal and Aqualand El Arenal are also within 3 mi (5 km). 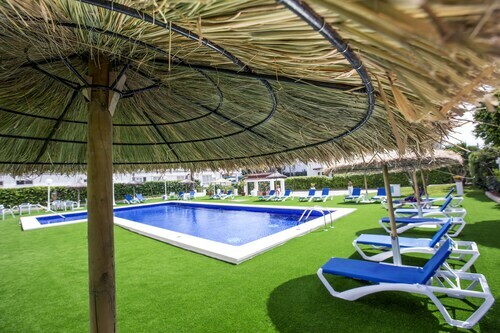 This Can Pastilla aparthotel is on the beach, 0.2 mi (0.3 km) from Palma Aquarium, and within 9 mi (15 km) of Aqualand El Arenal and Auditorium de Palma de Mallorca. La Rambla and Cathedral of Santa Maria of Palma are also within 9 mi (15 km). 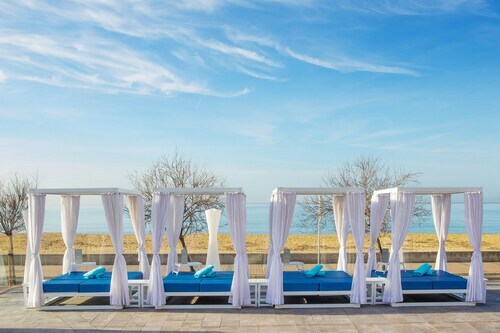 Situated near the beach, this spa hotel is 0.4 mi (0.6 km) from La Porciuncula Church and within 3 mi (5 km) of El Arenal Beach and Palma Aquarium. Port of El Arenal and Aqualand El Arenal are also within 2 mi (3 km). Located in Can Pastilla, this spa hotel is within a 5-minute walk of Cala Estancia and El Arenal Beach. Palma Aquarium is 0.7 mi (1.1 km) away. 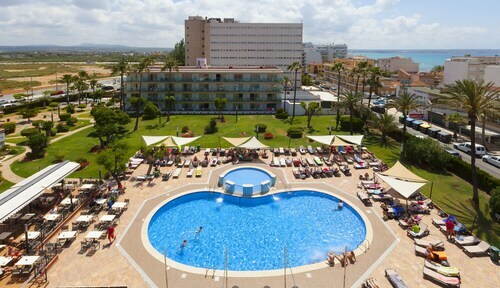 Located in Can Pastilla, this hotel is steps from Palma Aquarium and El Arenal Beach. Cala Estancia and Hospital Sant Joan de Déu Palma de Mallorca are also within 3 mi (5 km). Located in Can Pastilla, this hotel is within a 10-minute walk of Cala Estancia and El Arenal Beach. Palma Aquarium is 0.6 mi (1 km) away. Situated near the airport, this hotel is 0.3 mi (0.5 km) from La Porciuncula Church and within 3 mi (5 km) of El Arenal Beach and Palma Aquarium. Port of El Arenal and Aqualand El Arenal are also within 3 mi (5 km). 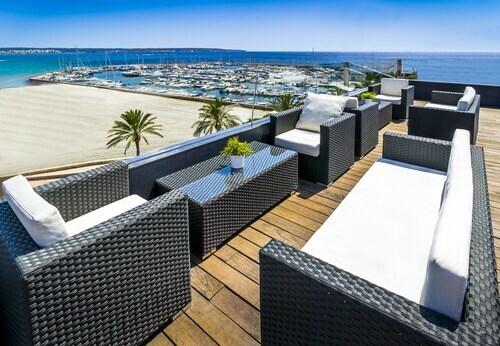 Located in Playa de Palma, this beachfront hotel is in the city center and within 3 mi (5 km) of La Porciuncula Church, El Arenal Beach, and Palma Aquarium. Port of El Arenal and Aqualand El Arenal are also within 2 mi (3 km).